Here you can find the best mma fights of 2018 rated by our users. 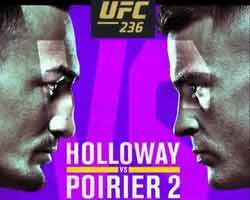 We post the top 25 bouts with 4 and 5 stars rated at least ten times. Clicking on the name of the fighter you can watch and rate the video of the fight (if it is available on the web) and read some info about it. ‘Best of Mma’, is the annual ranking of the best mma fights of the year 2018 (best Ufc fights and other promotions), matches rated by AllTheBestFights. Here you can find the best mma fights of 2017 rated by our users (ranking updated monthly). We post the top 25 fighting with 4 and 5 stars rated at least five times. ‘Best of Mma’, is the annual ranking of the best mma fights of the year 2017 (best Ufc fights and other promotions), matches rated by AllTheBestFights. Here you can find the best mma fights of 2016 rated by our users (ranking updated monthly). We post the top 25 fighting with 4 and 5 stars rated at least ten times. 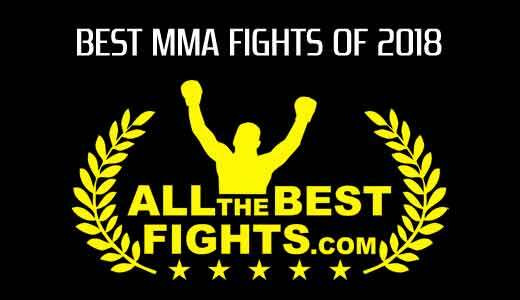 ‘Best of Mma’, is the annual ranking of the best mma fights of the year 2016 (best Ufc fights and other promotions), matches rated by AllTheBestFights. Here you can find the best mma fights of 2015 rated by our users (ranking updated monthly). We post the top 25 fighting with 4 and 5 stars rated at least eight times. ‘Best of Mma’, is the annual ranking of the best mma fights of the year 2015 (best Ufc fights and other promotions), matches rated by AllTheBestFights. Here you can find the best mma fights of 2014 rated by our users (ranking updated monthly). We post the top 25 fighting with 4 and 5 stars rated at least six times. ‘Best of Mma’, is the annual ranking of the best mma fights of the year 2014 (best Ufc fights and other promotions), matches rated by AllTheBestFights.